Are you an athlete who participates in contact sports? If so, you may be at risk of developing chronic shoulder instability due to a shoulder dislocation. A Bankart repair is one of the most common procedures used to treat ongoing shoulder instability. Bankart repair surgeon, Dr. Mark Getelman provides diagnosis and both surgical and nonsurgical treatment options for patients in Los Angeles who have developed chronic shoulder instability. Contact Dr. Getelman’s team today! As the most mobile joint in the human body, the shoulder allows the arm to lift, rotate and reach overhead. Shoulder instability can occur in patients because of the joint’s great range of motion. Recurrent shoulder instability typically occurs after a shoulder dislocation or other traumatic shoulder injury. The dislocation causes the surrounding soft tissues to become damaged, causing the shoulder to become loose and slip out of place more easily and often repeatedly. 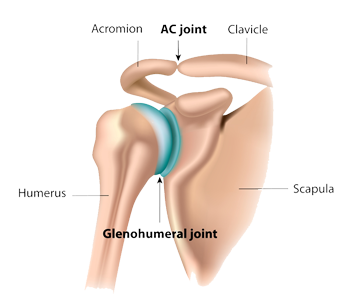 Often the labrum tears from the glenoid resulting in a displaced tear or Bankart lesion. An arthroscopic capsulolabral reconstruction often called a Bankart repair, is one of the most common procedures used to treat ongoing shoulder instability. Dr. Mark Getelman, board certified shoulder surgeon, offers the Bankart repair to patients suffering from instability in the greater Los Angeles, Thousand Oaks and Van Nuys, California communities. A capsulolabral reconstruction can be performed as an arthroscopic or open shoulder surgery. 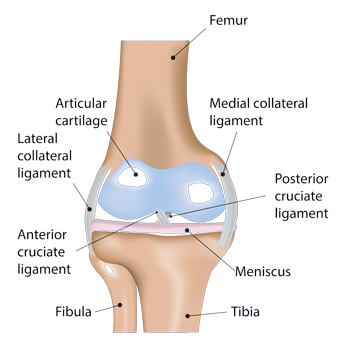 The Bankart repair allows repair the inferior shoulder ligament that has torn away from the labrum. At surgery, Dr. Getelman reattaches the torn labrum and appropriately retensioning the surrounding shoulder ligaments. Dr. Getelman has developed an innovative technique to more effectively retension the labrum and balance the capsule. This technique has been published in the Journal of Arthroscopy in December 2010 (“Hospital-Corner Repair” for Shoulder Instability). The procedure is very successful in stabilizing the shoulder and eliminating recurrent dislocations in patients without significant bone loss. Are you a candidate for Bankart repair? Following an arthroscopic Bankart repair or open capsulolabral reconstruction, patients are advised to apply ice or a cold therapy unit to the shoulder and take pain medication as directed by Dr. Getelman to help alleviate pain. When applying ice, patients are encouraged to protect the skin with a light fabric to avoid burning the skin. Patients will typically be required to wear a sling for approximately 6 weeks following a Bankart repair. This allows the repaired labrum to heal to the glenoid. Patients will wear the sling at all times, except when bathing, until directed by Dr. Getelman. Physical therapy exercises generally continue for several weeks following surgery, or when full shoulder ROM and then strength is regained. Patients can expect a return to overhead sports in approximately 4-5 months after surgery. Patients involved in contact or collision sports can typically return to play after approximately 6 months. If you would like more information on an arthroscopic Bankart repair or open capsulolabral reconstruction for chronic shoulder instability, please contact the orthopedic office of Dr. Mark Getelman, shoulder surgeon in the greater Los Angeles, Thousand Oaks and Van Nuys, California communities.